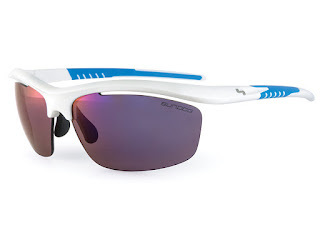 Last year Sundog Eyewear was a new brand to us and we are very happy to see Sundog this year again. 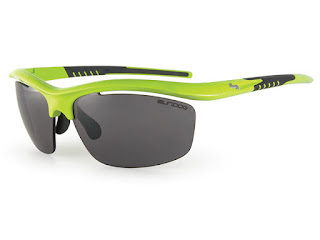 Sundog Eyewear has a great variety in their product line at the right price point. 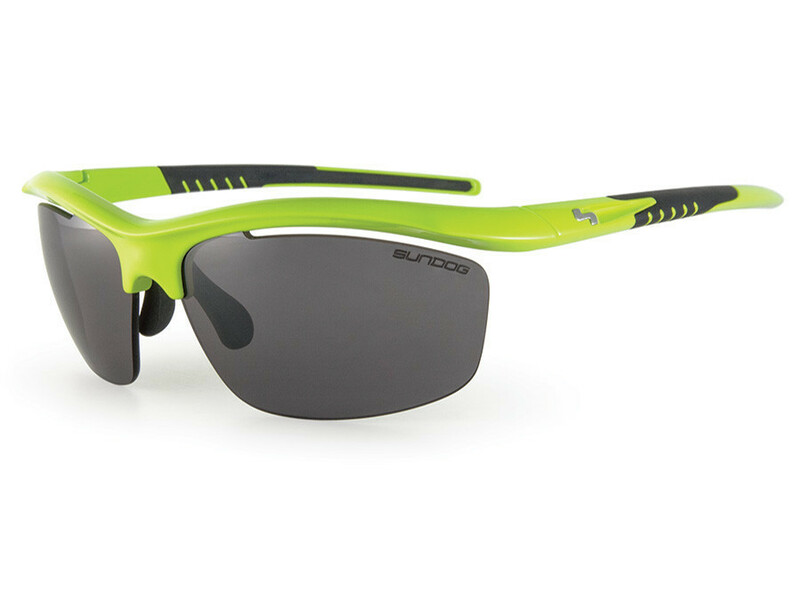 We feel that more runners need to discover this great eye wear brand! Fit: Sundog used a good combination of materials on these glasses to provide structure and comfort at the same time. The areas of the glasses that come in contact with the nose and ears are comfortable and adjustable, the material Sundog use on their shape-able pads for fit are is called Megol. The placement and shape of the nose piece keep the frame from touching the eyebrows, which helps with air venting as well as comfort.The fit feels secure on your faster days, even if the fit is slim you don't have to worry about the venting. Sun Blockage: Excellent, Sundog TrueBlue lens provides a light blue filtration that gives just about right protection. We have not experienced any glare or discomfort in bright sun. We have tired Dialed in every weather you can think of and so far they have preformed as well as high priced products. Venting/Antifogging: These lenses don’t fog at all, and the placement of the nose piece provides ample room so that sweat drops were never an issue. As mentioned before, Dialed has been tested in all kind of weather. And no fogging or vent issues. Best For: We have used Dialed for any run you can mention. Dialed will not let you down. With the slim fit you will get a fast feel on race day. The price point at $69.99 you get a great value! Drawbacks: Dialed fits best on small/medium size faces. If you have a larger face other options might fit you better.